Piano Playground: For Love of New Music! One of my favourite things to do is to go to our local music store and browse...and buy. 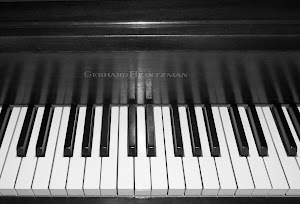 Ok, I have to use self-discipline not to buy the whole store, including the pianos! What is it about freshly printed music that just draws us to want to activate what's on those pages?! I did something new this week- Usually I buy the books and the student reimburses me. But yesterday I took my new adult student (who just started last week) with me to the music store to help determine what level of books she needed. Even after evaluating her in her first lesson (she's not a beginner but it's been years since she was in lessons) I was having a hard time putting my finger on exactly what level method books she needed. So we went together and browsed books for about an hour. It was fun! 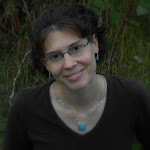 She gave me a better idea of what she had done before, what she didn't know yet, what she had forgotten, etc. And we picked out her books accordingly. 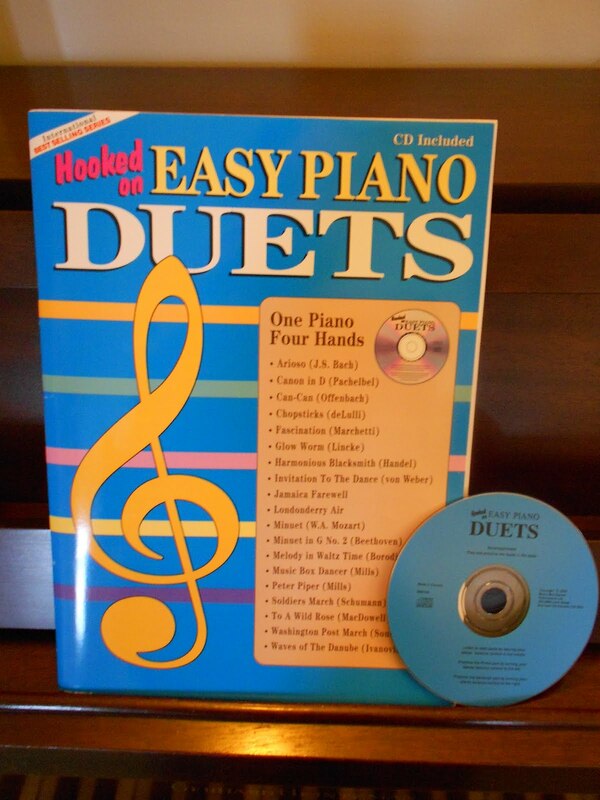 My husband and I love doing piano duets, so when I see a duet book, it just about has to come home with me. In fact, I was holding 3 books yesterday and decided I needed to narrow it down to one at a time! :) This book has 20 simplified classical duets in it, written in the format of primo/secondo where each pianist has their own page (instead of 2 staffs on top of each other). It also came with a handy CD, which has a metronome beat behind the music of each piece, making it easy for the student to recognize the time signature based on the extra emphasis they give to the "on" beats. These theory books are some of my absolute favorites! 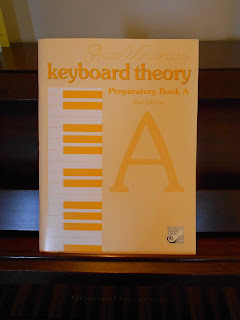 I used Grace Vandendool's books when I was a young girl taking piano. It was great to see the same great books with a fresh revision and a new look. 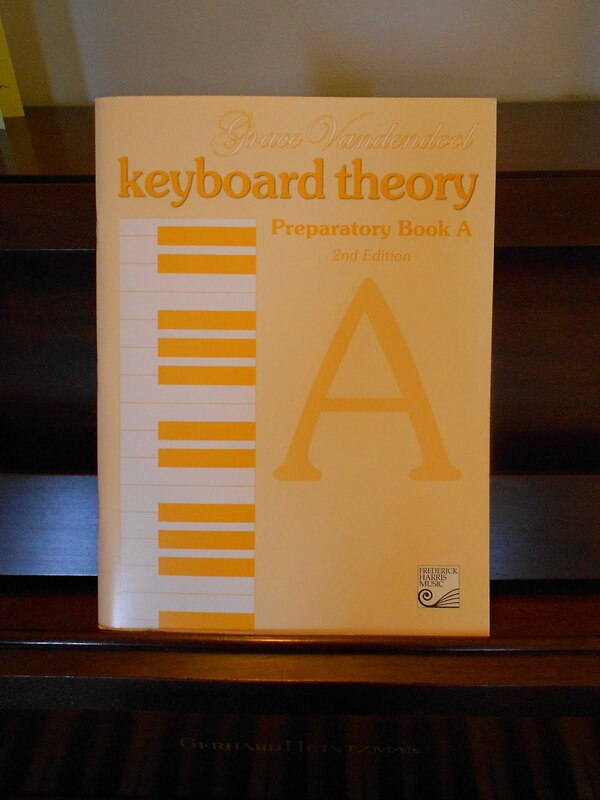 This is the very first in the series, to be used with one of my beginners as a supplemental theory book along with his regular method and theory book. This particular book is almost completely note name/ placement recognition. I love the larger font, making it super kid-friendly! 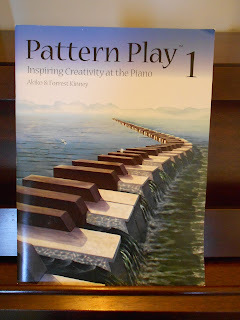 Inspired by this post from Natalie over at Music Matters Blog, I picked up a copy of book 1 in the Pattern Play series. I am so excited about the content of this book! It's full of fresh, creative ideas and I can't wait to incorporate it into my lessons. Isn't the cover art just awesome?! I get 15% off everything I buy, so it's nice to take advantage of that! Hmm, I wonder who that theory book could be for? Hehe. :) Yeah, I was glad they had the right one in stock- I think he's going to like it, since the tracing could be done with a crayon. I'm going to check out the duet books Leah, interesting that it comes with the CD.